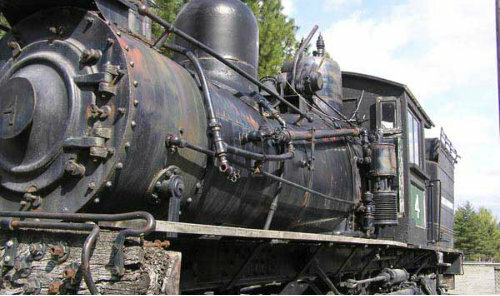 Shay locomotive, serial number 1643, fondly known as “Ole Four Spot”, is on display in front of the Heritage Museum, next to US Highway 2, and is one of our most prized exhibits. She served as a workhorse for the Libby Lumber Co and later the J. Neils Lumber Co. for logging operations in and around Libby, Montana in the early 1900s. 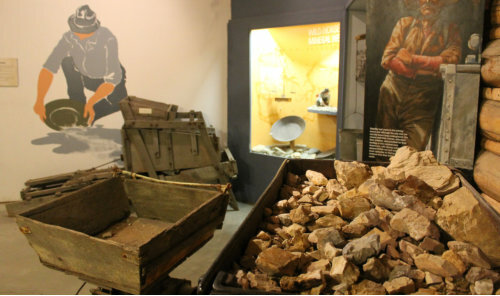 Last season the Museum opened a new exhibit on the history of the W.R. Grace vermiculite mine and subsequent asbestos contamination. Clips of video taped interviews, containing personal perspectives of a variety of people sharing their experiences, can be selected for viewing on touch-screen computers. Some of these people worked for W.R. Grace; some have asbestos-related disease or had family members who were affected. Others are the physicians who diagnosed and treated the illness. Still others just live and work here and have their own viewpoint. 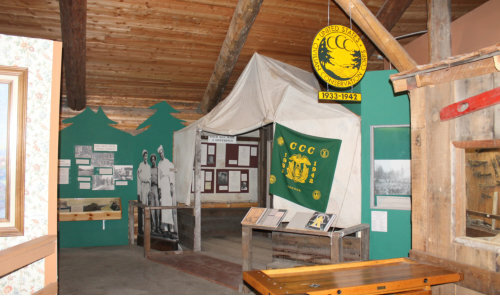 This exhibit was made possible through grants from Humanities Montana, the Center for Asbestos Related Disease, the Lincoln County Community Foundation, and private donations. 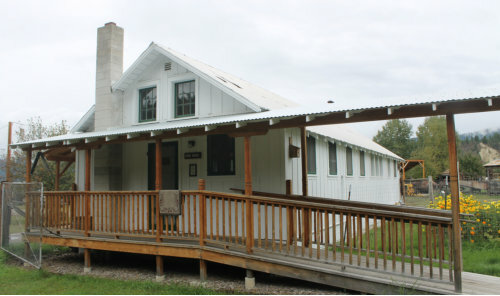 The Sylvanite Cookhouse was used... and now serves as one of our community gathering places and kitchen for functions. No caulks please! The Kootenai National Forest is managed under multiple-use for timber production, recreation, and wildlife habitat. It has over a 100-year history. 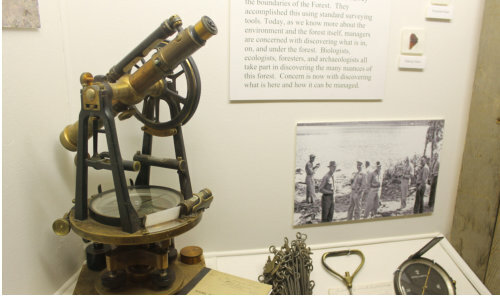 We have displays on the logging industry, area forest fire lookouts, early communication, and much more. 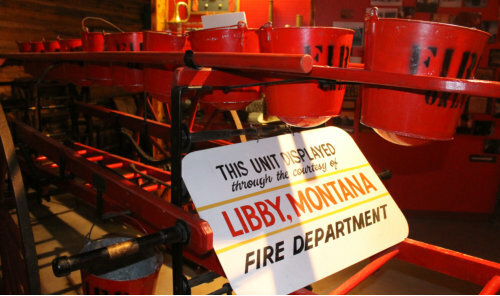 The Libby Volunteer Fire Department was formed in 1911. The exhibit contains a photo display of various fires fought by the Libby Volunteer Fire Department, an original LVFD bucket brigade fire wagon, a roster of fire fighters by year, and a memorial dedicated to fireman Cory Clawson-a firefighter killed in the line of duty. 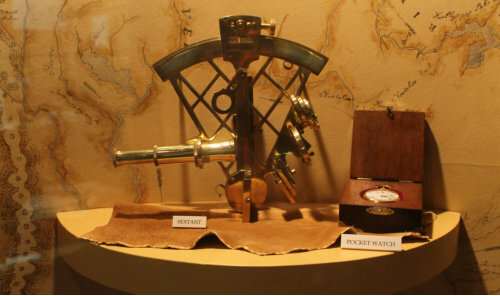 Additional exhibit items include a display case with toys, medals, helmets and other fire department related items. Mining equipment exhibit on the outside Museum grounds. 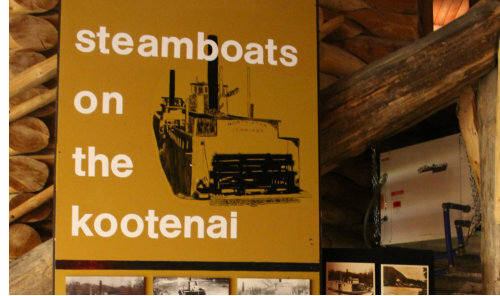 Steamboats transported goods and passengers on the upper Kootenai River from the late 1800s to early 1900s. These included the North Star, Fool Hen, J.D. Farrell, Rustler, Libby, Annerly, Gwendoline, Ruth and others. By the turn of the century, raillines took over as the main means of transportation services. 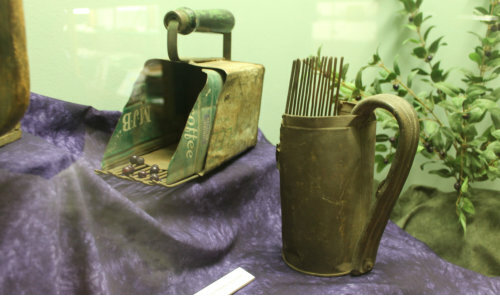 The Heritage Museum has an impressive display of early washing machines and laundry implements to show how the chore of doing the wash was done before electricity. 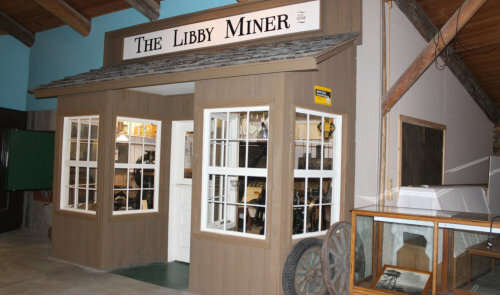 Libby’s first newspaper, The Libby Miner, began in 1892. 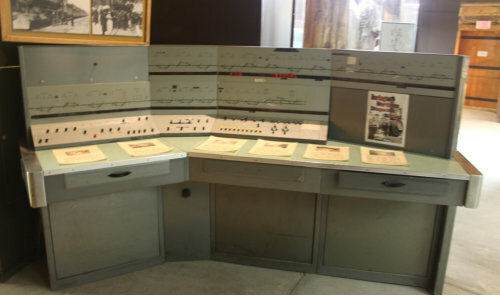 The Museum display includes presses, typesetting equipment, copies of early newspapers and more. Early Native Americans who lived in the area before the coming of European and white people were mostly members of the Kootenai Tribe who inhabited northwest Montana, northern Idaho and into Canada. The Kootenai River was a major travel corridor and source for food and water. 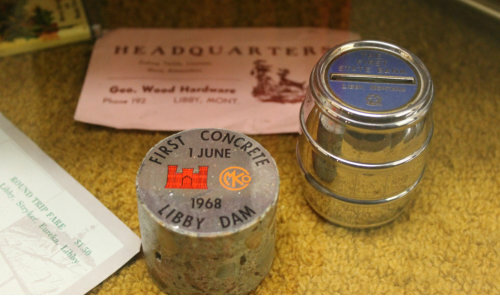 Early prospectors came to the Libby area beginning in the mid-1800s and ran placer operations and mines for silver, lead and gold. 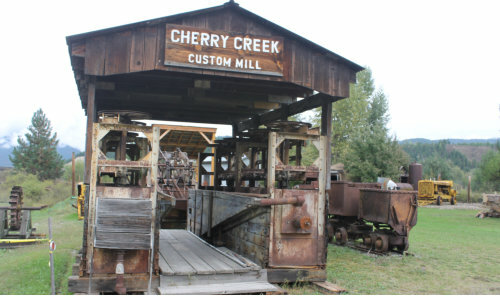 The Heritage Museum has an extensive collection of large mining equipment on display on the Museum grounds. 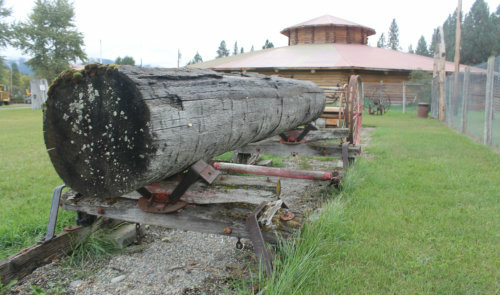 The first saw mill was built by the first townsite company in the winter of 1891-1892 near the present day bridge across the Kootenai River and was used to supply lumber to build the growing town. Other sawmills were built in the late 1800s and early 1900s, with most lumber used locally. The Northern Pacific Railroad was the determining factor of the location of the townsite for present-day Libby. In 1890, the railroad made the preliminary surveys for its path and negotiations for rights-of-way were made, relocating the town from its location near mining camps closer to the Kootenai River. The first train, hauling passengers and freight, arrived in Libby on May 3, 1892. The Snowshoe lode was discovered in October, 1889 producing rich deposits of lead, silver and gold up Leigh Creek near Libby. The Snowshoe was the most important lode producer in the Libby area, reporting production every year from 1905-1912. Underground workings included two shafts (475 and 550 feet deep) and 11,000 feet of tunnels, drifts, and connecting raises. 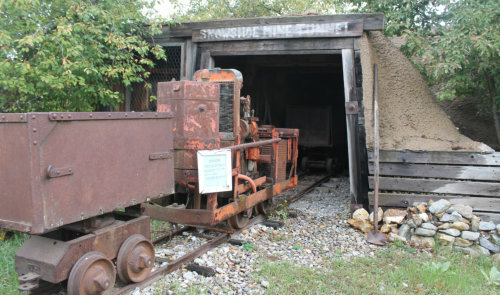 The Museum has a full-scale display of the entrance to the Snowshoe Mine on the Museum grounds. 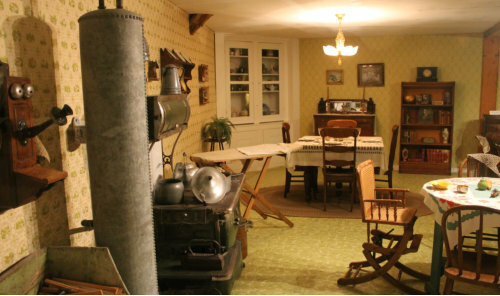 The Museum has many displays and interpretive signs about life in early Libby. 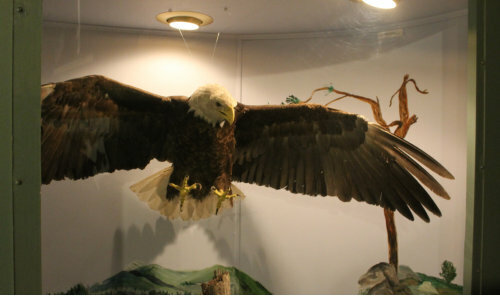 Wildlife taxidermy displays include raptors, large mammals, small animals and fish that live in the northwest Montana area. 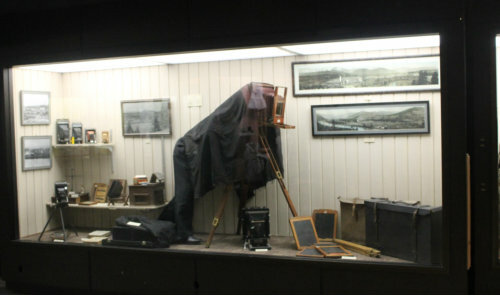 Museum displays include many early photographs of the area as well as photography equipment. David Thompson, a Canadian explorer and employee of the Northwest Company. The first white men to come to the area were fur traders and trappers in search of beaver pelts and other furs. 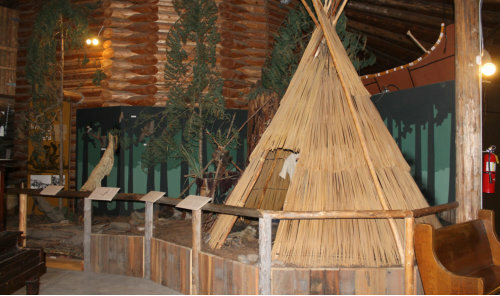 There were several forts, or posts, built by early traders along the Kootenai River which were small log huts or tents, which served the general trading purpose. 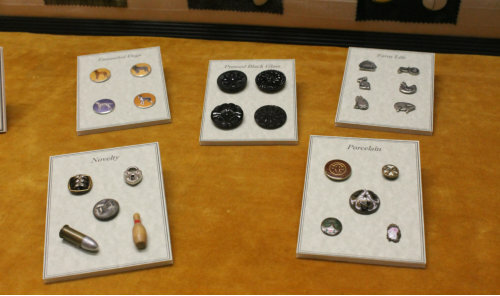 The Museum has a wonderful display of early buttons. Outdoor recrecreation is an important part of life in the northwest Montana area. 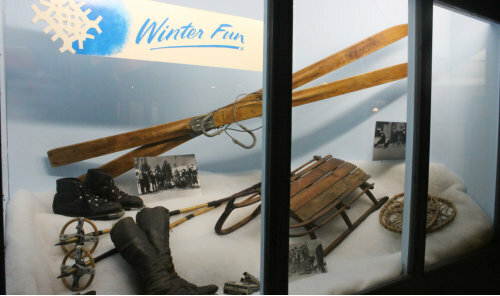 We have displays of old skis and other outdoor equipment used in days gone by. A native plant of the area, huckleberries are enjoyed by people and wildlife. See our collection of huckleberry collecting implements. Libby Dam is located 17 miles upstream from Libby on the Kootenai River. The dam is 422-foot tall and holds back 90 miles of water in Lake Koocanusa. Forty-eight miles of the reservoir lie within U.S. borders, the other 42 miles are in Canada.